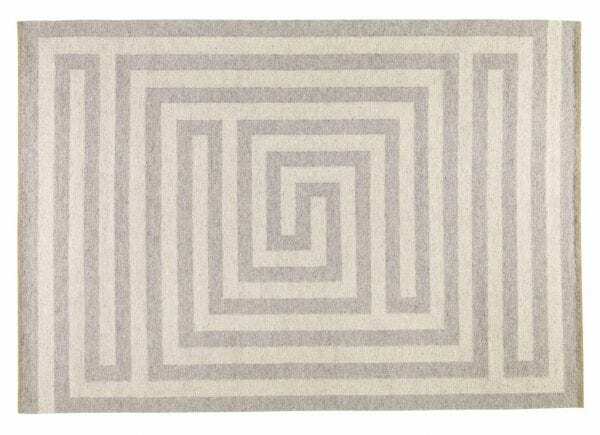 is a mild flat woven rug which ads to the Labyrint collection. 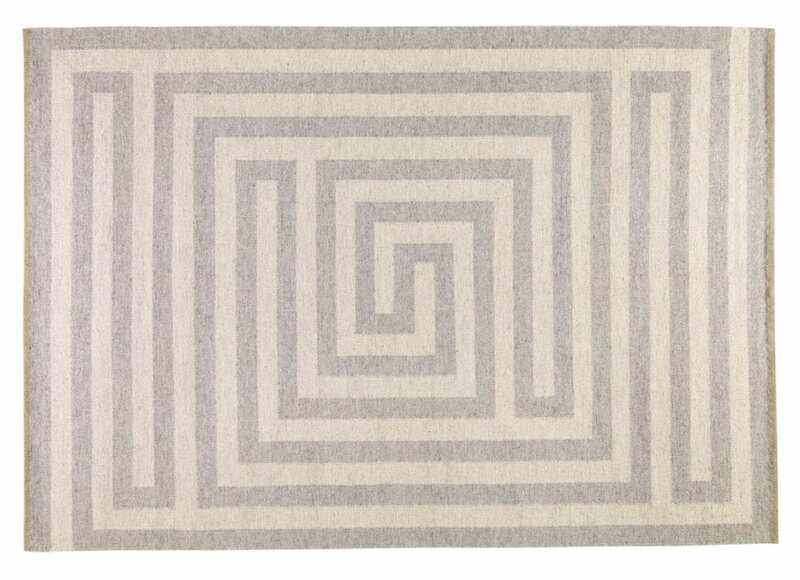 A soft, durable and elegant rug suitable for use in public interiors as well as in private homes. Sara got her inspiration from the Greek myth about the Minotaur’s labyrinth on the island of Crete, together with the Märta Måås-Fjetterström’s black garden rug, which Sara grew up with. 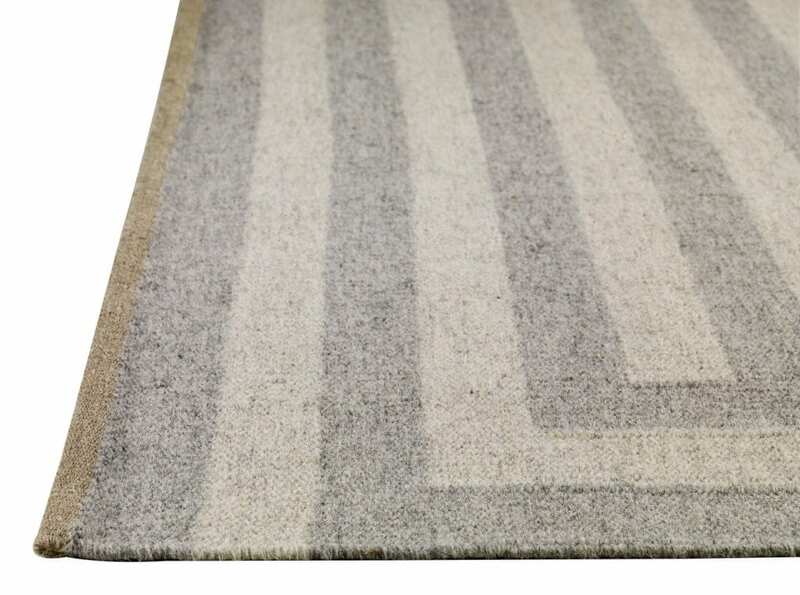 Product: Handwoven rug in 100% pure wool. 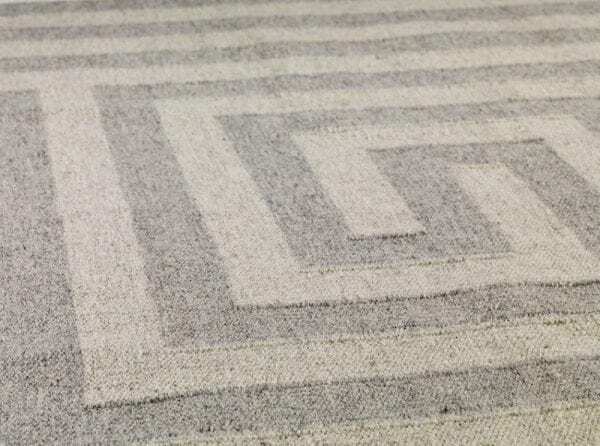 • We use renewable natural materials. Dye lot and yarn batch variations may occur. • We recommend rug underlay (anti-slip): For reduced wear, improved comfort, non-slip properties and easier vacuuming.